Can occupational therapy help you live a better life? While physical therapists focus on big movements, occupational therapists help patients regain the ability to do small movements that are necessary for daily living. These movements might include things like feeding yourself, buttoning your shirt, or signing your name. You may receive occupational therapy in the hospital, at an outpatient practice, at home, or even at school if you’re a child or teen. If arthritis in your hands keeps you from buttoning your shirt, or Parkinson’s disease keeps you from feeding yourself, occupational therapists can help you regain these skills. They may have you use adaptive equipment that makes tasks easier for you and/or have you complete exercises to rebuild these skills. Children with autism or other disabilities frequently see occupational therapists both in- and outside of school settings. Your child’s occupational therapist can help them with writing, social situations, and other activities that may be challenging for them. Beginning regular occupational therapy when your child is young can help them build skills and gain independence that will last a lifetime. If you need to use a wheelchair or other mobility equipment, it can be difficult for you to move around your home and perform tasks as you once did. An occupational therapist can assess your home and help you find ways to adapt it to fit your needs. They can also help you find adaptive equipment that makes tasks easier. A severe hand injury at any age can affect your ability to work and play. An occupational therapist can help you rebuild strength and function so that you can return to activities you enjoy. Whether you have surgery on your knee or shoulder, elbow or hip, you may need help returning to your daily activities after orthopedic surgery. Occupational therapists, working alongside physical therapists, can help you practice these skills safely so you can build strength with a lower risk of injury after surgery. Participating in therapy can help you heal faster so you can get back to your normal life. At Bon Secours Physical Therapy, our expert occupational therapists help patients achieve their goals and experience a higher quality of life. 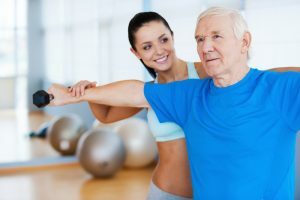 If you think you could benefit from occupational therapy, talk to your physician to learn more or visit us at http://www.bonsecoursphysicaltherapy.com.